Several industry experts and executives provide support for these tips and strategies to begin ushering in an Agile transformation. With a defined set of rules and roles, an Agile framework not only streamlines the project flow but can also enhance team collaboration. 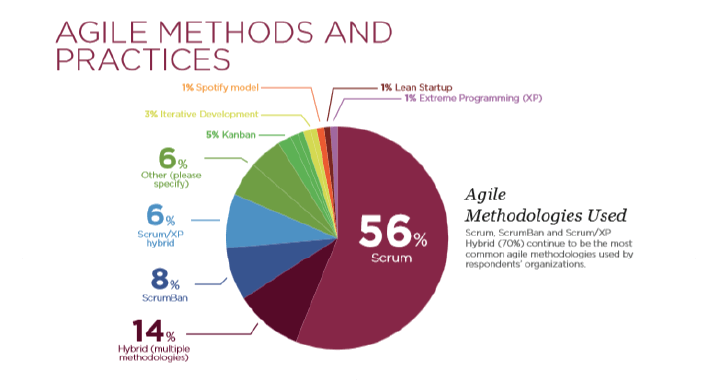 In fact, according to Manny Gonzalez, CEO of the Scrum Alliance, “Agile is now much more than a revolutionary approach to work for the software development industry. It’s transforming a wide variety of industries and specialties from marketing and human resources to financial services”. A simple process by design, the implementation of this framework has been met with different perceptions in different organizations. From defining roles in the existing organizational structure to devising methodologies for managing workflows in different departments, implementing any framework needs time and trial. It is no different for Agile. One approach that some organizations adopt is to be all in or all out. When it comes to the implementation of any framework, it is usually attempted to go by the book. This approach is ineffective. The importance of training the management is undeniable, as the management is responsible in implementing the change over the entire organization, in essence developing a culture for long-term success. The role of a Scrum Master is to help streamline the Scrum framework by guiding the team. Daniela Field, a technology professional with 10+ years of experience, considers the role of the Scrum Master as one of the core determinants of the project’s success. According to Field, some Scrum Masters tend to go off-track and resort to dictating and micro-managing activities. This, in turn, can damage the team confidence, reflects lack of trust and can serve as a potential roadblock in achieving goals. Read the original post on the nTask blog by clicking here.